Hacknet Labyrinths, a chunky expansion with brand new hacking-and-entering scenarios, is now available, DRM-free on GOG.com with a 20% launch discount! Stealing data, hacking into well-protected networks, instantly adapting when things inevitably go to hell – these are the skills your recruiter was looking for when they made you part of this elite heist team. Are you up to the challenge? Get the base game along with Labyrinths in one Complete package (-28%). Or grab the Ultimate Edition (-28%), which also includes both soundtracks. The discounts will last until April 7, 3PM UTC. You and this update = perfect match! Reigns, the fantasy simulation where you make card-inal decisions for your kingdom by swiping left or right, recently received a huge free injection of 100+ new cards! These cards include a brand new character, 3 new deaths, 5 new objectives, and 1 totally fake elephant. That should make for more varied runs but this update also makes reaching the end of the main story slightly more achievable and brings the option to reset your game at any point by holding down “R” for five seconds. Now, if you want to see how these new cards stack up against the rest, go ahead and shuffle yourself a new playthrough! It ain’t easy being the King. Regalia: Of Men and Monarchs, a turn-based RPG where you try not to spill too much of your royal blood, is now available for pre-order, DRM-free on GOG.com with a 15% pre-order discount! After an ill-fated expedition to empty the treasury, Kay and his royal siblings must reluctantly go on an adventure to restore the kingdom to its former glory. Thankfully, this means exciting turn-based fighting, weapon-crafting, plenty of kooky characters to meet or recruit, and lots of sightseeing. The 15% discount will last until the game’s expected release on May 18. Weekly Sale Phase II: Up to 90% off Silence, Edna & Harvey, Memoria, Blackguards, The Night of the Rabbit, Bounty Train, and more! Escape your own past and the gaze of a great Dark Eye! Ready for some more adventuring? The rest of Daedalic’s remarkable catalog is joining our Weekly Sale Vol. X and it’s taking us to some rather peculiar places that may or may not be a figment of our imagination. They’re rascals, miscreants, and oftentimes at odds with each other. Yet, these Blackguards are just the people for the job when it comes to preventing the world from ending. Turn-based strategy-RPG gameplay and a truly gritty story set in the compelling Dark Eye universe. You can run from oppressive caretakers and unstable inmates but you cannot escape your own memories. Edna & Harvey know this all too well, but that doesn’t stop them from trying! Especially since it involves exploring an insane asylum filled with bizarre interactions and mind-racking puzzles. That’s not all, though! There’s plenty more to love here, like: Bounty Train, The Night of the Rabbit, Valhalla Hills, Silence, and several other winners, up to -90%! Don’t forget – there are just a few days left to grab what you want! Did you miss Monday’s launch of our Weekly Sale? Check it out – it’s all about escaping a colorful junk world and braving the perilous Underground. The Weekly Sale will last until April 3, 4:00 PM UTC. Ron Gilbert interview: The creator of Monkey Island and Maniac Mansion is back in town! Ask me about Thimbleweed Park. As a point & click pioneer, it’s only fitting that Ron Gilbert gets to be the one to bring them back the way we fondly remember them: as pixel-art, story-heavy affairs, riddled with compelling puzzles and humorous interactions. That was the idea behind Thimbleweed Park and that’s what over 15.600 Kickstarter backers helped him create. As Gilbert himself keeps stressing, this is not an adventure game made exactly the way those classics were made, but one that plays like your memories of these games. There are all manners of modern bells and whistles built within its pixely exterior, and its design has also done away with the unnecessary frustrations of the past while preserving their old-school charm. We recently spotted the legendary Grumpy Gamer standing outside Thimbleweed Park’s city limits, wearing an “Ask Me About Thimbleweed Park” badge – It was hard to resist the urge. For those who want to know more, we’re also having a Twitch stream where Memoriesin8bit and Flaose will [LOOK AT] the game and [USE] their questions on Ron Gilbert. Tune in tomorrow, Friday the 31st, at 8 PM UTC on Twitch.tv/gogcom. 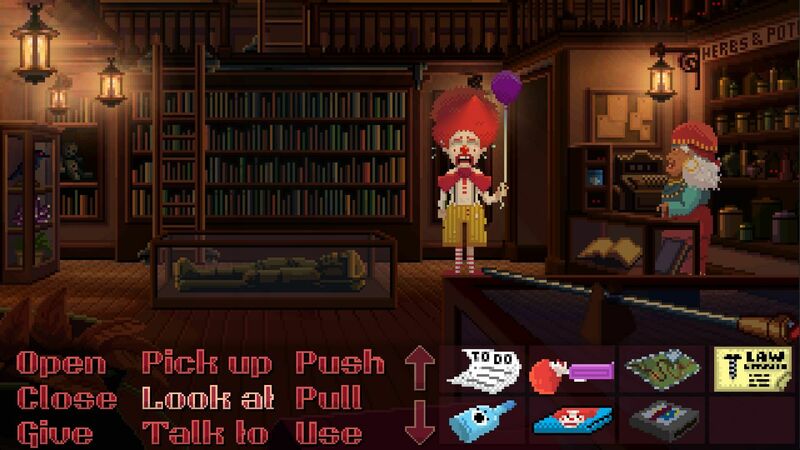 In terms of design, is Thimbleweed Park more closely related to Maniac Mansion or Monkey Island? Ron: A little of both. The character design is highly influenced by Maniac Mansion, and so is the room layout. But the puzzle design and dialogue borrow more from Monkey Island. So why the SCUMM interface? Why not use one of the “smart cursor” interfaces that have come since? Thimbleweed Park, a delightfully surreal point & click adventure by the creators of Monkey Island and Maniac Mansion, is now available, DRM-free on GOG.com! This murder, it really ties the town together, man. A town already haunted by dark secrets and built on sins. Now five eccentric individuals will start poking around, each for their own reasons. Little do they know that they’ve become the unwitting catalysts for a fateful night full of bizarre events, brain-twisting puzzles, and weaponised sarcasm. For some additional insight, check out our interview with Ron Gilbert, the mind behind Thimbleweed Park and a few other classics you may have heard of. The Big Apple is rotten to the core. How about a bite? Beat Cop, a retro-styled, nonlinear adventure about beating the odds and perils of 80’s Brooklyn, is now available, DRM-free on GOG.com! From NY detective to traffic warden, it’s a long way to fall. And Jack Kelly didn’t exactly land on his feet, either. With the false murder accusations ruining both his life and career, his only ticket to a decent existence is working the mean Brooklyn streets while looking for the real culprits. NOTE: The game’s soundtrack is included as a bonus goodie. GWENT: A hotfix that improves performance is now live! CD PROJEKT RED just released a small update for GWENT: The Witcher Card Game on PC and Xbox One, which improves the game’s overall performance and stability. The update also adjusts the Henselt and Promote cards to work with positioning recently introduced to the game. You’ll find their updated tooltips below. Choose 7 adjacent units on your side. Convert all non-Gold units among them to Gold until removed from the battlefield or the round ends. Choose 3 adjacent units on your side. Convert all non-Gold units among them to Gold until removed from the battlefield or the round ends. Be mindful of your surroundings and see you on the battlefield! – There’s a whole new island to explore: The long-awaited second island of the Village of Hamlyn, called Maidenholm. Read the in-game newspaper for more information. 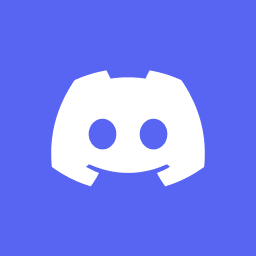 – When starting a new game, players can now choose between three Playstyles: the Birdwatcher, the Downer, or the Vigilante. – Plague Wastrels roam the Garden District and Hooligans patrol there at night. You might want to be extra careful in your travels, citizen. – Dozens of fixes, gameplay tweaks, new encounters, and UI improvements that will turn your frown upside down! You can check out some of these delightful changes in the trailer below. Better yet, put on your most convincing smile and go discover them for yourself! Planescape: Torment Enhanced Edition, the return of the most celebrated RPG of all time, is now available for pre-order, DRM-free on GOG.com with a 30% discount for owners of the original! A layered story laced with philosophical undercurrents. A fantasy setting unlike any other. One of the most memorable casts of eccentric, interconnected characters. This is Planescape: Torment, the golden standard for narrative-driven RPGs of the past 18 years. And now it’s back! Beamdog and lead designer Chris Avellone joined forces to update the game with fixes, enhancements, and key additions, all in sync with the original vision of this timeless masterpiece. With a remastered soundtrack, a crisp 4K interface, and neat convenience features, the Enhanced Edition is coming to captivate a new audience and remind its dedicated fans why they just can’t seem able to take it off their all-time favorites list. The 30% discount for owners of Planescape: Torment will last until April 4, 9 PM UTC. Note: Planescape: Torment Enhanced Edition will feature the unaltered original version and the Enhanced Edition in one definitive collection exclusively on GOG.com. The original game will no longer be available for purchase on its own, after the Enhanced Edition is released. Owners of the classic Planescape: Torment will not be affected by upcoming changes to the product.